The Old Brewery Mission - McGill University research collaboration. Round-table discussions between PI Professor Katherine Maurer, Research Coordinator Hannah Brais, Director of Housing. Urban Health and Research Initiatives Georges Ohan and additional research team members. A light dinner will be available as of 5:45 pm. 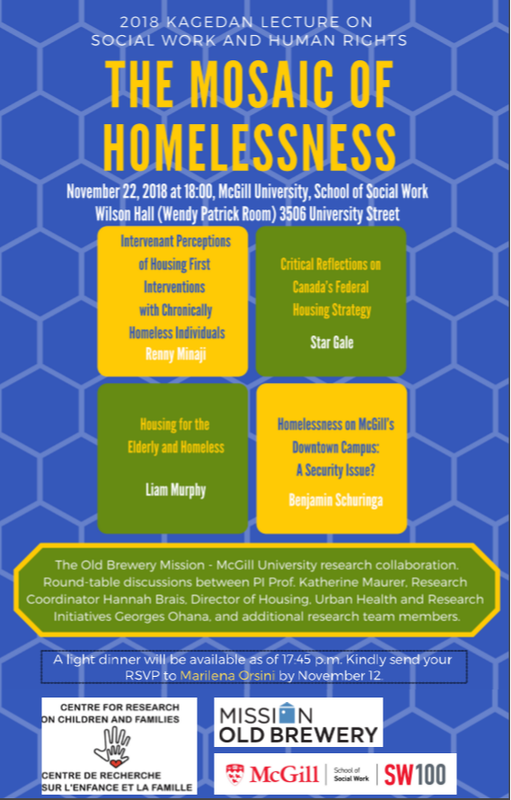 Kindly send RSVP to Marilena.Orsini [at] mcgill.ca (Marilena Orsini) by Nov. 12th.